Please join us for social time after the program! March meeting postcard activity. Be prepared for another group activity Sun. Trumpcare is defeated! Grassroots Resistance is working! As you know, Trumpcare, the Republicans' top legislative priority, was soundly defeated last week. Because of your and your allies' continued phone calls, letters, emails, outreach, protests, and showing up, moderate Republicans who may otherwise have gone along with the most Draconian health care bill possible, did not support it. Thomas Massie (R-KY) received 275 calls against "repeal", and only 4 in favor. Dan Donovan (R-NY) said calls to his office ran 1,000 to 1 against the Republican bill. Rodney Frelinghuysen (R-NJ) changed his position from support to “oppose” after he was besieged with calls, and people in his district held mock town halls when he didn’t show up. These stories were repeated across the U.S. Kudos and thanks to MVCAN's Health Care and Electoral Teams and our partners at OFA Marin for organizing multiple phone banks, at which 100+ callers made thousands of calls to advocate for keeping the ACA. Thank you to all of you who made calls! Thank you to those who attended Jared Huffman's 2 Town Halls and otherwise advocated for the ACA. Town halls are an effective way to educate people, capture media attention and impact public opinion. They are an important part of democracy and the protest movement. Our April monthly meeting will feature many upcoming opportunities for local protests. Let's continue to make our voices heard! The Republicans have shown themselves to be largely inept at and uninterested in governing. Let's seize the moment and continue to keep the pressure on our elected officials to do the right thing for the American people. BECOME A TRAINED IMMIGRANTS' RIGHTS ADVOCATE Train the Trainer meeting, sponsored by Canal Alliance, Sat. Apr. 8, 9 am-12:30 pm, Dominican College, San Rafael. 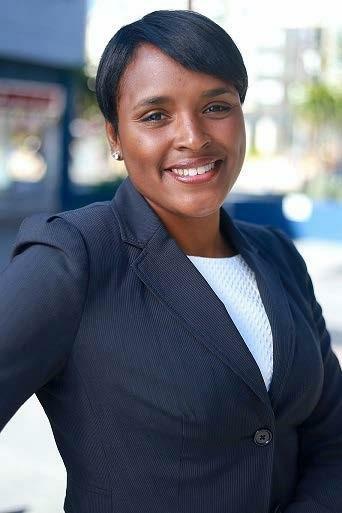 MVCAN Civil Rights/Immigration team will spearhead. SIGNS OF HOPE ART & ACTIVISM SHOW Fri. Apr. 14, 5-8 pm, Art Works Downtown, 1337 4th St., San Rafael. MVCAN supports this community art and activism show of political posters from local protests. Contact Angelique Benicio (btweenmargins@yahoo.com) for more info, to volunteer, and to contribute protest signs. TAX DAY RALLY AND MARCH Sat. Apr. 15, 1-4 pm, San Francisco. MVCAN will participate in a rally and march to demand that Donald Trump release his tax returns. Contact Bernard Catalinotto (bernardcatalinotto@gmail.com) if you're interested in joining the MVCAN contingent. 1:00 pm: Civic Center Plaza opens to the general public and organizations to gather. 2:00 pm: Tax March Rally in front of City Hall. Special guests include David Cay Johnston and the Trump Chicken! 3:00 pm: March down Market Street toward Justin Herman Plaza. MARCH FOR SCIENCE POSTER MAKING Thurs. Apr. 20, 6:30–9:30pm, Studio 64, 64 Louise St, San Rafael. A hands-on art party supporting the March on Science, co-hosted by MVCAN. Please contact Fran at fh@halperinandchrist.com if you are interested in attending. MARCH FOR SCIENCE Sat. Apr. 22, Various cities in the Bay Area. Celebrates public discovery, understanding, and distribution of scientific knowledge as crucial to the freedom, success, health, and safety of life on this planet. MVCAN's Health Care Team is exploring organizing a group. Contact Elyse Foster (fosterel22@gmail.com) if you are interested in helping organize MVCAN's participation in the march. PEOPLE'S CLIMATE MOBILIZATION Sat. Apr 29. MVCAN's Eco Warrior team will be actively participating in the planning of the Marin People's Climate Mobilization. Contact Lisa Ristorucci (lisaristorucci@gmail.com) for more info. MEMORIAL DAY PARADE Mon. May 29, 10:30 am-noon, Mill Valley. MVCAN seeks someone to help organize our parade contingent. Contact Laura Boles (boles9552@gmail.com) to volunteer! ACTION 1: It’s time to save the Supreme Court. We can now use a free, automatic calling application from CREDO Action that makes it easy to call Democratic Senators and urge them to oppose Gorsuch. We want to urge Democratic Senators to support a filibuster of Gorsuch and to vote against cloture, which would stop a filibuster of Gorsuch’s appointment to the Supreme Court. The CREDO tool finds the most available Democratic Senator’s office automatically. You can reach 10 senators in 10 minutes! Because of our resistance and activism, more and more Democratic Senators are coming out against Gorsuch and also in support of the filibuster, a critical piece of our strategy to protect the Supreme Court from right-wing extremism. Calls are best made before 2pm PDT. CREDO is a tool made available by a progressive and activist CREDO mobile phone company, which means that calls are dialed for you automatically. To advance from one call to the next: Press *. ACTION 2: We need your immediate help to protect Californian immigrants who are facing detention and deportation. Contact your California State Senators and Assembly members and urge them to vote “yes” on two critically important bills scheduled for vote soon. The vote on these bills has been postponed again, which means we fortunately have more time to influence the members of the State Senate. We are also adding two members of the State Assembly to our call list. Prohibits California state and local law enforcement officers (including officers in schools and hospitals) from using local resources to investigate, interrogate, detain, or arrest persons for immigration enforcement. The California Values Act (SB 54) is a bill critical to protecting immigrant communities in California. We must resist the deportation of valued immigrant members of our community and prevent the breaking apart of immigrant families. Our local law enforcement officials must not be forced into illegitimately enforcing these detentions and deportations. Creates a program supported by California state funds to provide access to qualified legal counsel to immigrants in deportation or removal proceedings. Even people in this country illegally have constitutional rights, such as not being subjected to unreasonable searches and seizures, not answering questions and not signing any documents without speaking with an attorney. In the current political climate (where recently a father was picked up and arrested while his daughter was still in the car outside a Los Angeles school) legal advice is desperately needed for those whose immigration status is precarious. Ranging from advice on resisting deportation orders to drafting legal documents protecting children if their parents are detained or deported, immigrants must be provided with legal counsel. Contact California State Senators and Assemblymen to support California bills SB54 and SB6. I’m calling Senator/ Assemblyman______to urge a ‘yes’ vote for the passage of California bills SB 6 and SB 54, which protect immigrants’ rights. As a voter in California, I want the Senator/ Assemblyman to ensure that local law enforcement resources are not used to detain or arrest immigrants. I also feel strongly that immigrants must have access to due process and support for legal counsel. When calling or writing Assemblyman Levine, be sure to mention that you are a constituent in his Marin district. When calling or writing Senator McGuire, be sure to mention that you are a constituent in his Marin district. Civil Rights/Immigration urges you to take action on SB (Senate Bill) 54 and SB 6. See Action above. The team has been working with Marin police chiefs to encourage adoption of the ACLU's Freedom Cities 9 Point Model for Law Enforcement. They are participating in a vigil at the West County Detention Center, 5555 Giant Highway, Sun. April 2, 2-3 pm, as well as the Train the Trainers meeting Sat. Apr. 8, to become immigrants' rights advocates. See Action above. Thank you to all of you who contributed backpacks for the detainees. 100+ backpacks were collected to give to detainees being released from the West County Detention Center. Next team meeting Sun. Apr. 23, 4-5:30 pm Marin Horizon School, 305 Montford Ave., Room 201, Mill Valley. All are welcome! Contact Diane Goldman (dgold94941@aol.com) for more info. Communications welcomed several talented new members to its ranks, allowing us to widen our range and effectiveness. One of their latest efforts involves pitching George Lakoff as a guest to several late night political comedy shows, where his important message of successfully framing the positions of our resistance can reach a broader audience. Next team meeting TBA. Note: No meeting this week. Contact Ken Pontac (kpontac@hotmail.com) for more info. Dump Trump's 65 team members work on ways to remove Trump as soon as possible. They are currently focused 100% of Russia-gate, the Trump campaign's collusion with the Russians to hack our election and destroy our democracy. They are currently pushing MOCs to conduct an independent investigation and are building a coalition of progressive organizations to join in by pressuring their MOCs. They meet most Saturday mornings, rain or shine, to review events, adjust strategy and focus on practical actions for all team members. Next team meeting Sat. Apr. 1, 10-11am. Mill Valley Community Center Manzanita Room. Contact Bernard Catalinotto (bernardcatalinotto@gmail.com) (cell 301-717-1077) for more info. The Eco Warriors' 3 committees shift gears as the fight to protect our planet intensifies. The Carbon Tax Committee is seeing momentum pick up for a Carbon Tax in Sacramento. Sen. De Leon’s press release shows he is favoring other programs instead of Cap and Trade (i.e. a Carbon Tax). The Carbon Tax Committee is developing a plan to support his efforts and help pass what would be the first-in-the-nation direct fee on CO2 emissions. Community Outreach will be addressing MVCAN leadership to determine how to get all MVCAN members to reduce carbon emissions, including purchasing carbon offsets for air travel. They also plan to work with other environmental groups to collectively pressure the city of Mill Valley to officially go Deep Green. 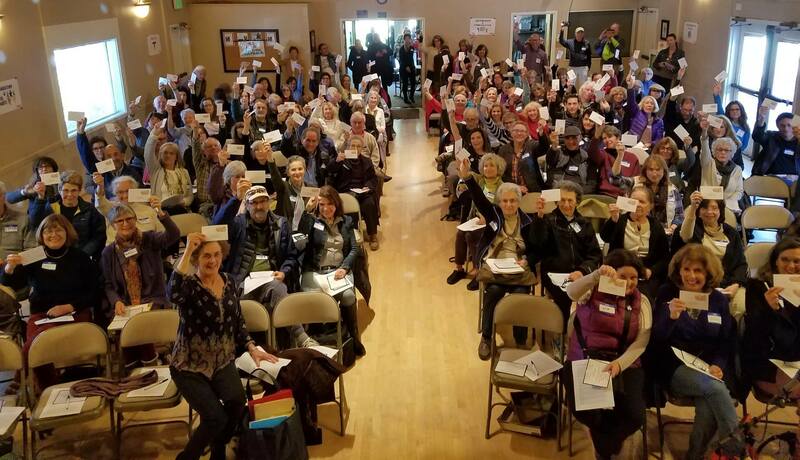 The Climate Advocacy Committee meets this Wednesday with 350Marin and OFA to finalize details for Marin People's Climate Mobilization on April 29. Speak Up for Clean Air! Thurs. Mar 30, 6:30pm-8pm. Air District Refinery Rules Workshop. These refineries are the Bay Area's largest industrial sources of climate destroying and air pollution emissions. Contact Richard Gray of Marin 350.org for carpooling info 415-342-6057. Normal is Over, award-winning documentary and Q & A about reversing the path of global decline that is imperiling our planet. Wed. Apr. 12, 142 Throckmorton Theatre. A Deep Dive into Activism Course with artist Evan Bissell, who presented to the Eco Warriors. Participants will learn how public art and creativity can help strengthen the movement for ecological justice. Apply here. Next team meeting TBA. Contact Lisa Ristorucci (lisaristorucci@gmail.com) for more info and Join the MVCAN Eco Warriors Facebook page! Education is exploring Prop. 13 reform, as it relates to CA education funding. Team members are attending the Labor Rising Against Trump: Emergency California Education Conference at U.C. Berkeley on Sat. April 15. Next team meeting Sat. Apr. 8, 9:30-10:30, Alain Pinel Realtors, 32 Miller Ave., Mill Valley. The team will be analyzing Trump’s education budget and the multiple strategies (Federal and State level) necessary to resist and oppose. Contact Kelly Horner (keho@sonic.net) for more info. The Electoral team’s mission is to flip the house in 2018 and make state legislatures and governorships blue in 2017. The group is continuing phone bank training and calling. 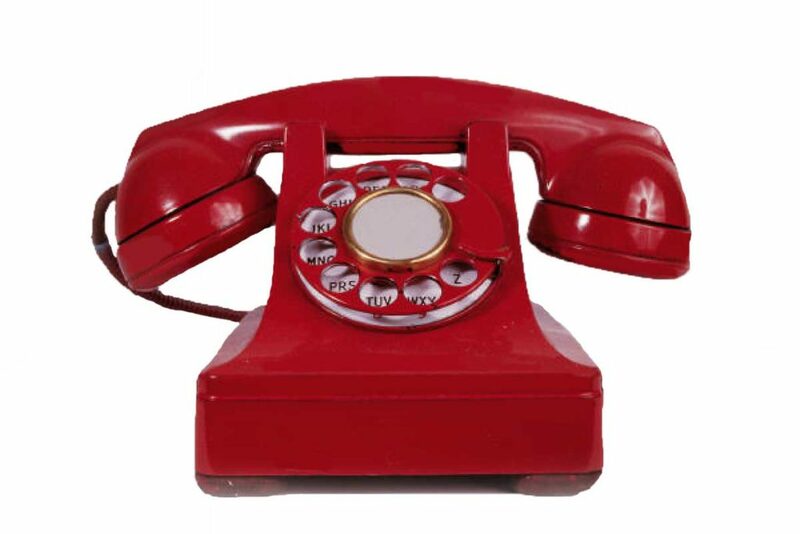 Please join the team for an upcoming phone bank Sat. Apr. 1, 10am-Noon in Sausalito. RSVP to Susan Bolle (swbolle@gmail.com) for details. Thanks for persisting to elect Democrats in the Special Elections! We're going to keep at it through the Special Election in Georgia April 18 to elect Jon Ossoff to the U.S. House for Georgia's 6th District. 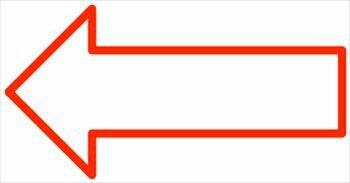 If you want to go to Georgia and work on this exciting campaign, his campaign staff are ready and waiting for you with supporter housing. We have other volunteers going to GA from Marin! Please contact Susan Bolle (swbolle@gmail.com) for details. Watch Jon's interview on Flippable. Next team meeting Sat. Apr. 1, 10 am-12 pm See phone bank info above. Contact Susan Bolle (swbolle@gmail.com) to RSVP. Health Care is regrouping after last week’s victory. They share this statement: "As you all know, Paul Ryan pulled the “un"-American Health Care Act, the so-called Repeal bill. Despite Trump’s attempt to influence House Republicans, they couldn’t pull enough votes together to overturn the real American ACA. Not unexpectedly Trump managed to blame it on the Democrats. The Senate leadership does not plan to tackle health care, so “ObamaCare” remains the law of the land. Nevertheless, Paul Ryan has said that they will be back and I believe that we must be ready. For now, there are no phone banks. We will be exploring other statewide options for health care reform and would like to organize a group to attend the SF March for Science on April 22." See Actions, above. Next team meeting TBA. Contact Elyse Foster (fosterel22@gmail.com) for more info. Women's Rights is helping organize the Kimberly Ellis Fundraiser. See Action above. The group welcomed two Tam high students who are interested in starting an arm of MVCAN at their school. Women's Rights discussed canvassing local businesses to support AB 569 (employee reproductive non-discrimination act) with the help of NARAL's online "tool kit," and planned to attend the April 26 Lobby Day in Sacramento in support of NARAL and Planned Parenthood. Support this team's GoFundMe site to provide safe access to women's health care. Next team meeting Sat. Apr 8, 1:15 pm, Tam Valley Log Cabin, 60 Tennessee Valley Road, Mill Valley. Contact Leigh Ann Townsend (townsendleighann@gmail.com) for more info. 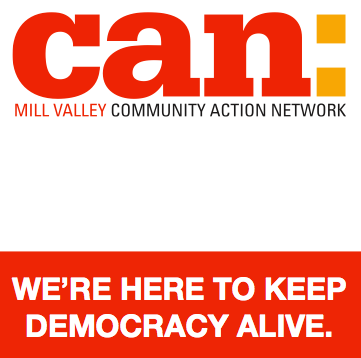 Visit MVCAN.org to learn about the organization, teams and strategies; read past MVCAN newsletters, and gain helpful Resistance tools. Got a skill, talent and/or time? Contact Laura Boles (boles9552@gmail.com) and let her know how you might be able to help our growing Resistance group.